Austin Commercial is a subsidiary of employee-owned, Austin Industries. Founded in 1918, Austin Industries is one of the nation’s largest, most diversified construction companies. With over 5,000 employee-owners, Austin is among the largest construction managers in the nation and ranks 20th on ENR’s list of the 100 largest CM at Risk Contractors in the United States. Operating primarily in the southern half of the United States, Austin has an average annual volume of over $1 billion. Austin Commercial serves customers in advanced technology, aviation, corporate build-to-suit, industrial and manufacturing, interiors, healthcare, hospitality, mixed-use, office and high-rise, public and institutional, retail, sports, and university markets. ABG was started in 1995 by Thomas Huggins III. The firm provides management consulting and training services to major construction firms, local governments and emerging businesses. In addition to our individually tailored consulting and training services, a major aspect of our services is the provision of MBE/DBE/SBE compliance, public involvement and outreach services and training. ABG has worked on over 1 Billion dollars of construction projects including Aviation, Transportation, Housing, and Industrial assisting major construction firms with maximizing their WMBE/DBE participation. The firm is headquartered in Tampa, Florida, and has worked on projects throughout the State of Florida and is certified DBE and WMBE. Founded in 1912, The Beck Group offers a full spectrum of real estate services including planning, architecture, interior design, construction and sustainability consulting. The company maintains a team of nearly 600 employees, working among offices in Atlanta, Austin, Dallas, Denver, Fort Worth, Houston, Mexico City and Tampa. Beck’s size and strategic locations allow them to bring flexibility, speed and expertise on projects on a national and international scale. Their focus is always on cultivating personalized, long-term relationships with customers, seeking opportunities to bring quality, value and integrity to every project. ConRAC Designer, Architecture and Interior Design for ConRAC Demattei Wong Architecture (DWA) will lead the master plan evaluation, programming, functional planning, and Architect of Record and Interior Designer of Record for all design phases of the ConRAC facility. DWA will be responsible for all enabling/temporary work, phasing to maintain existing rental car operations, and design for the vehicle storage areas associated with constructing the ConRAC facility. Project Management of design team, Global Architecture and Interiors Design Direction and Wayfinding/Signage Design for ConRAC. GS&P will manage and oversee all design and engineering subconsultants for the ConRAC and associated enabling/temporary work. 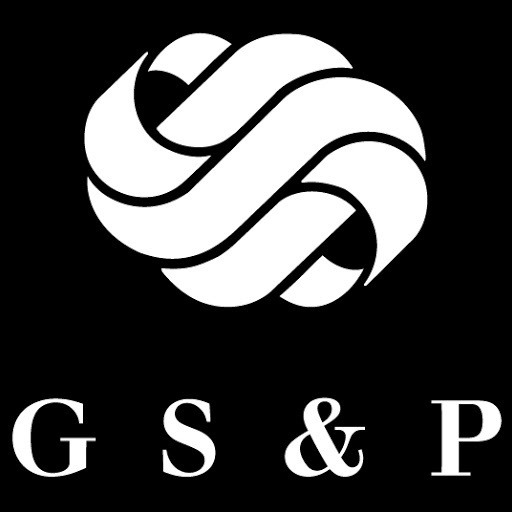 GS&P will establish the global design, general appearance and use of materials for the exterior and interior design of both the ConRAC and APM facilities to provide a unified design approach for the total APM and ConRAC program. GS&P will also provide wayfinding and signage design for the ConRAC program which will include all revisions required to airport campus (terminal and roadway systems) signage as a result of relocating the rental car operations. This will include temporary signage required to maintain existing operations while the new wayfinding system is being installed. APM Fixed Facilities Designer. During schematic design the APM Designer Lea + Elliott (L+E) will provide information to enable the design/build team to advance the design of the APM Infrastructure or “Fixed Facilities” which include the APM stations, APM guideway structure, maintenance facility and related infrastructure. Founded by Lyndell Mims in 1989, is a 100% minority owned and operated business headquartered in Orlando, Florida. Mims’ core values and basic philosophy is grounded on the premise that knowledge, integrity, experience, and timely completion of each project will result in total customer satisfaction. Mims has built a lasting reputation for excellence in construction management, concrete, and masonry. With certifications in Florida, Alabama, Georgia, Louisiana, New York, and New Jersey, plus offices in Orlando, Tampa, Tallahassee and Palm Beach, Mims brings to our team a wealth of knowledge and experience to draw upon. PSA provides complete Program Management services. PSA serves as an extension of the client's staff and the resources through the design and construction of a project. This Professional Management enables a client to maintain direct and total control over all aspects of the project.